Lift your skin to a new level of health by targeting specific concerns. *A chemical peel may be a non-invasive way to improve the appearance of your skin. These procedures use a chemical solution to remove the damaged outer layers of your skin, often revealing the smoother, younger-looking skin underneath. *Chemical peels may be able to improve the appearance of acne or acne scars, fine lines and wrinkles, freckles, irregular skin pigmentation, sun damage, and scars. Rock Creek Wellness offers an extensive line of chemical peels to treat a variety of skin conditions. Fire and Ice Peel: Now only $75! Voted celebrity facial of the year by InStyle Magazine! *This medical-grade treatment, created by iS Clinical, may help to decrease the appearance of fine lines and wrinkles, resulting in tighter skin and smaller pores. Call us today at 913-727-7700 or click to schedule today! The hottest and coolest Hollywood treatment — now available at Rock Creek Wellness! This medical-grade treatment from iS Clinical, used in Hollywood and Beverly Hills, was voted celebrity facial of the year by InStyle Magazine. This non-invasive procedure, which combines elements of a facial and a peel, uses a combination of two professional treatment masques to refresh and rejuvenate the skin. * The “fire” part of the facial, an 18 percent glycolic acid formula containing vitamins A and B, plus cinnamon, provides an intense but gentle exfoliation. *The following “ice” treatment contains peppermint combined with hyaluronic acid, aloe vera, and green tea extract to provide moisture to the cells, decrease fine lines and wrinkles, and stimulate the production of collagen and elastin. *A chemical peel product line featuring all natural ingredients, such as aloe vera, papaya, green tea and vitamin C, Image Skincare face peels may provide treatment for wrinkles, blemishes and uneven skin pigmentation. Our wide variety of chemical peels can take you from organic peeling to medical grade TCA peeling. No other chemical peel product line provides this many options. *The facial peels available in our I-Peel Line can be combined with the I-Enhance Line, offering unmatched customization options. *Our signature, results-driven treatment may be able to change the IMAGE of your skin in just one session. *Vitamin C, Alpha and Beta Hydroxy Acids, and gentle yet effective enzymes may be able to speed up cellular turnover, lightening, tightening and brightening of all skin types, even Rosacea and sensitive skin. *This often-effective treatment blends lactic and kojic acids with a cocktail of lightening agents that may be able to reduce pigmentation and the redness caused by Rosacea. *This ultra-resurfacing blend of Glycolic Acid and retinol visibly may be able to reduce the appearance of fine lines and wrinkles, leaving the skin firm and revitalized. *This potent blend of Alpha and Beta Hydroxy Acids contains anti-inflammatory agents that may be able to effectively treat and heal acne lesions. *This powerful non-blended Beta Hydroxy Acid treatment may be able to quickly and effectively improves grades III and IV acne. *Our exclusive blend of exfoliating agents are combined with powerful anti-oxidants, correcting peptides and plant-derived stem cells to create may be able to improve the appearance of advanced pigmentation, acne and aging conditions. *A physician-only TCA/Salicylic Acid peel that may be able to correct aging and sun-damaged skin. A single application reveals a new you! *This luxurious anti-aging facial treatment infuses oxygen, plant-derived stem cells, peptides and a high concentration of enzymatic botanicals into the skin, leaving it luminous, refreshed and rejuvenated for many patients. *Ormedic Lift: A blend of papaya, pineapple, and mango, this non-chemical peel that may be able to re-balance, regenerate, and restore your skin using organic ingredients with medical effectiveness. Contact Rock Creek Wellness to schedule a consultation! 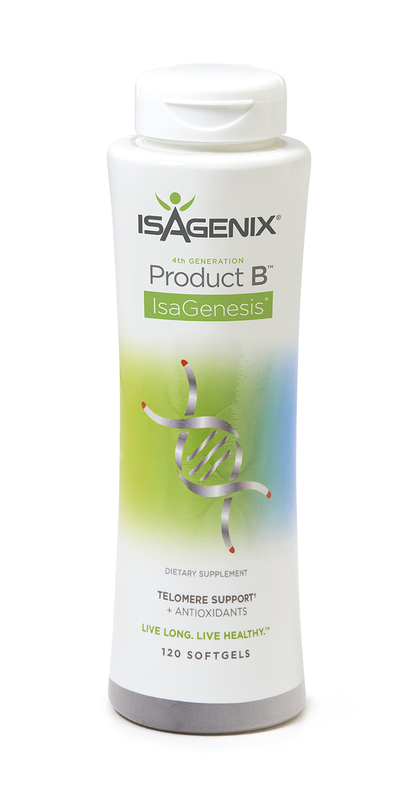 Protect against harmful free radicals that accelerate the aging process.